The study is believed to be the first-ever quantification of earthquake and tsunami effects on sandy beach ecosystems along a tectonically active coastal zone. Chile’s 8.8 earthquake and tsunami of 2010 caused massive devastation, not least along its coastline, with some beaches subsiding and losing biodiversity, and some rocky reefs uplifting and losing biodiversity—as you might expect. 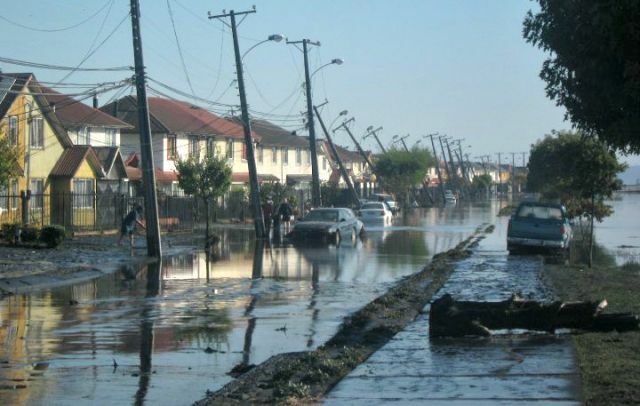 But thanks to the investigations of a science team already looking at the ecology of Chile’s sandy beaches before the quake, we now know this natural disaster also engineered some powerful and unexpected forms of coastal restoration. This occurred where the temblor uplifted coastlines with coastal armouring—like seawalls and rocky revetments—which allowed those once-disappearing beaches to quickly grow where they had not grown in a long time, and allowed plants and other species to reinhabit places they hadn’t inhabited in a long time. The study, just published in the open-access PLoS ONE, also previews the types of changes we might expect from climate warming and its accompanying sea level rise. 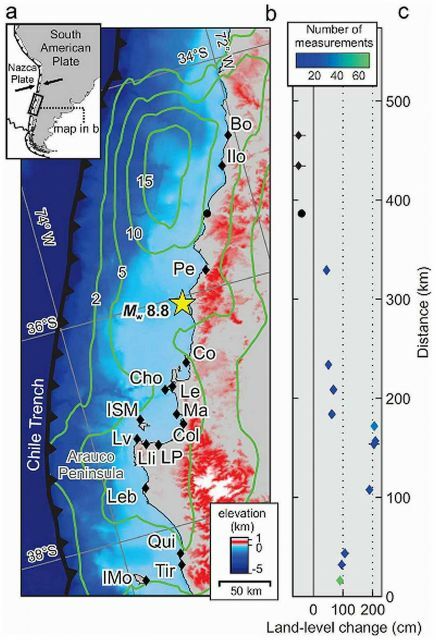 Ecological effects of extreme events, such those we observed for the [Chile] event, are expected to vary in duration. Shorter-term effects on beaches included direct mortality associated with the tsunami and the indirect bottom up effects of increased inputs of algal wrack from uplifted rocky shores on upper shore invertebrate consumers such as talitrid amphipods (Orchestoidea tuberculata). However, in areas with significant uplift (ca. 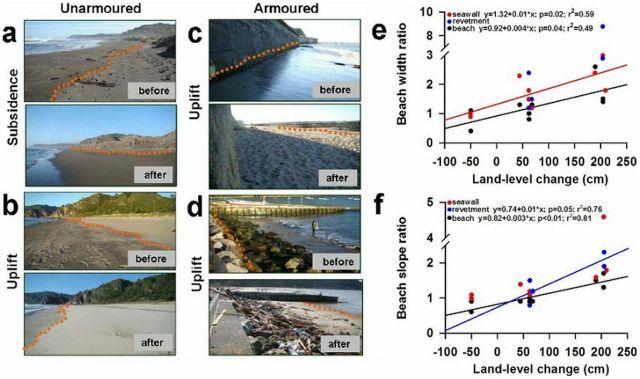 2 m), locations of armoring structures were shifted higher on the beach profile, reducing interaction with waves and tides and restoring intertidal zones for biota and ecological function. For this reason we expect positive changes observed in these beach ecosystems to persist, altering intertidal community composition and dynamics over the long term, even in front of existing coastal armoring. In contrast, for the subsided armored areas, community composition and population abundances are expected to remain depressed over time.